After bathing in tulle and satin for days for various tutu orders I had a few left-overs. I started folding and stashing away all those goodies to move along with other project. 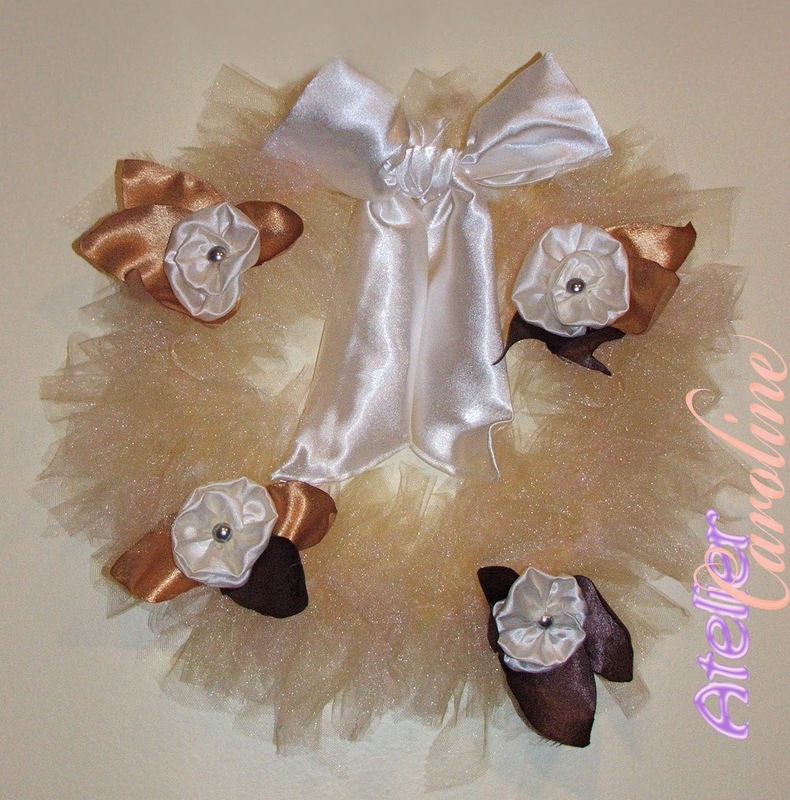 That's of course when the idea of a tulle wreath decided to pop in my head. Of course I had to work on it right away. I didn't take pictures since I made it up but I like it so much I'm thinking about making a second one - maybe a bit bigger. I will then take pictures and put a tutorial together. This is gorgeous! I love the color combination ( it's like a cappuccino with cinnamon swirls in the foam! )and the textures. Well done! That is beautiful! I love the colors that you chose! 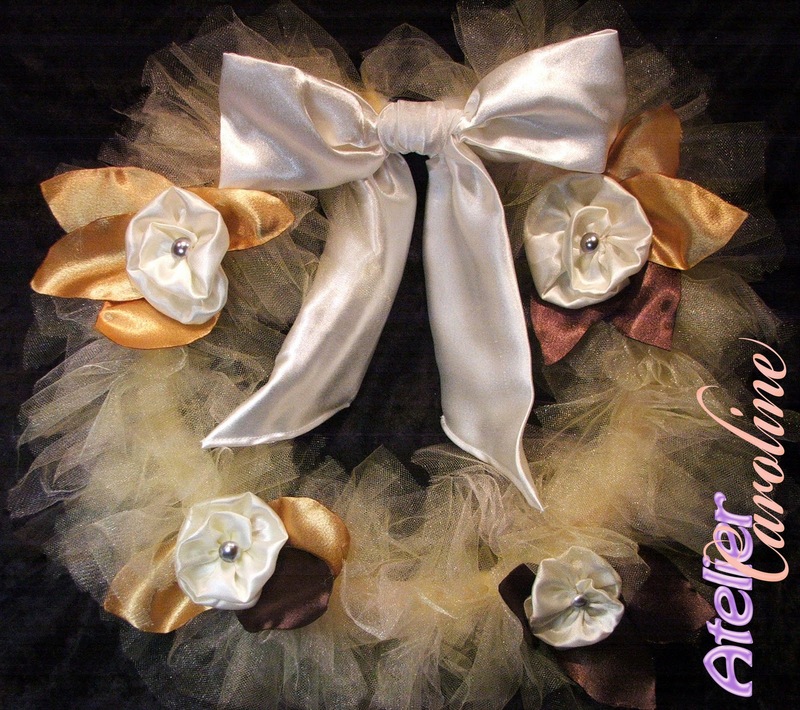 This by far is my favorite wreath i have seen this season. Thanks for sharing. This is such a romantic wreath, Caroline. Nice job. So feminine and pretty! Found you over at Sugar Bee's. Would love for you to share this at the Holiday Hookup! Tres chic! Me likey. Visiting you from Someday Crafts Link Party. Very pretty, I also love the color combination. 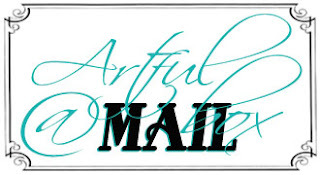 Thanks for sharing at the Passionately Artistic Blog!!! I love it! it absolutely cinnimon swirls! Great job! That is so pretty! The satin bow is gorgeous. oh wow I have so much of tulles. great ideas for them. Beautiful! It just looks so elegant and gorgeous. Thank you for sharing! So pretty and fanciful..just as the holidays should be!